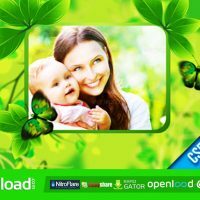 Trailer Voice – a collection of professional-quality vocal samples provided for use in trailers, commercials, DVD-and CD-presentations, sporting events, premieres, etc. Contains two male and one female voice. If you need to make an impact. Want to blow your audience away. Make an everlasting impression on your clients, sweep all your competitors of their feet. Or simply blow a hole in the theaters roof. You should add some of the “Trailer Voice” by Sonokinetic to your productions. Created by the high quality standards of our professional public relation experts, vocal specialists, commercial advisers, recording specialist, sound designers, DJ’s and composers, this library contains a broad feature of generic and catchy quotes and phrases. Three top notch professional experienced and award winning voice actors spent weeks recording this royalty free collection of speech samples. 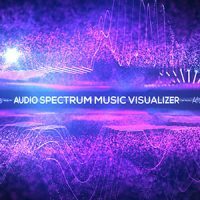 Giving their all and performing to the best they have to offer for this unique and one of a kind sound design library. 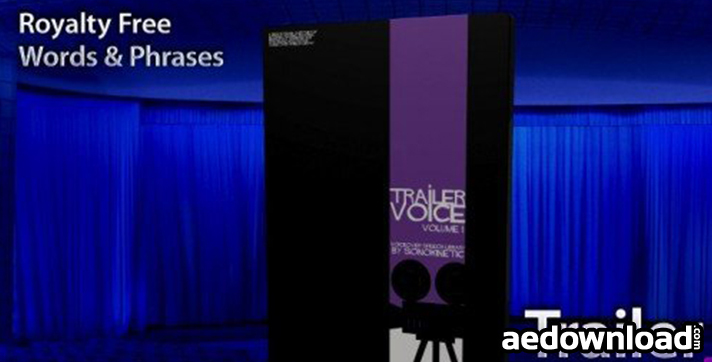 Trailer Voiceby Sonokinetic build this library around two talented male voice experts and one beautiful sounding professional female narrator .This library provides a broad sound pallet of voice styles en timbres. Each voice collection is divided in different styles. Which will give you an inspiration on giving you the most impressive, authoritative,hard hitting “Hollywood ” warm, mystical and mysterious sound. Each cue is recorded in to different pronounces / interpretation to give you a more choice in selection to suite the feel of your production just right. Expanding this collection over 10.000 samples of voice over sound effects. You’ll find a ‘dry’ and ‘wet’ folder per voice acting style to give you full access to the raw and unedited wave file or a processed easy to use (no nonsense , drag and drop) take of each cue. These “wet” recordings have been processed with the following gear: UA compressor (analog-digital) , Wave arts “Track plugin” for EQ-ing and the waves plugins: L3 Ultra maximizer and Maxxbass. This, to make these files fit right into your After Effects animation of promo DAW/DVW without the need to add extra plugins on an already memory pumped workstation so you can build your own Hollywood voice overs. All voices are performed in the North American English pronunciation. With an exception on the female folder “Mystical” which has British influenced added to some of the takes. Sonokinetic went all the way and tried to capture a very generic but broadly users friendly and easy to use collection of voice over samples. Each take has been recording in at least 2 versions up to 8 takes to give you a brought rage of interpretations to choose from. Each vocal samples folder is provided into two mix settings. Dry and Wet. With over 10.000 voice over samples making this the most affordable and dedicated voice over library out there. “The Voice Of God” tutorial. A walkthrough on creating a subbass deep Godlike voice in Logic Pro. High resolution Art work for the “Trailer Voice” dvd. Updated map structure: alphabetically & numerically sorted , re-named and organized in away that anybody can easily find it.